The previous generations of the Honda Insight were never really that popular with the general public. Sure it may have had a small cult following like the General Motors EV1, but it never really caught mainstream attention. 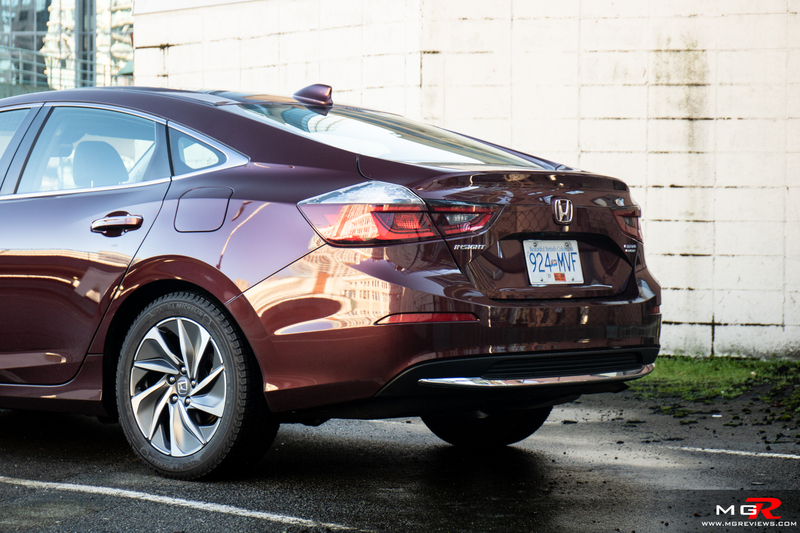 Now though, Honda has given the Insight a complete refresh and things are looking good. Engine – Powering the Honda Insight is the 1.5L engine that’s found in many other Honda vehicles. It acts like a generator, much like the Chevy Volt, to provide power to the to the 1.1-kWh lithium-ion batteries. Combined output to the front wheels is 151hp and 197 lb-ft of torque. An adequate amount for a city car like this. Thanks to the instant torque from the electric motor, acceleration feels brisk. Perfect for getting away from stop lights in a busy city. 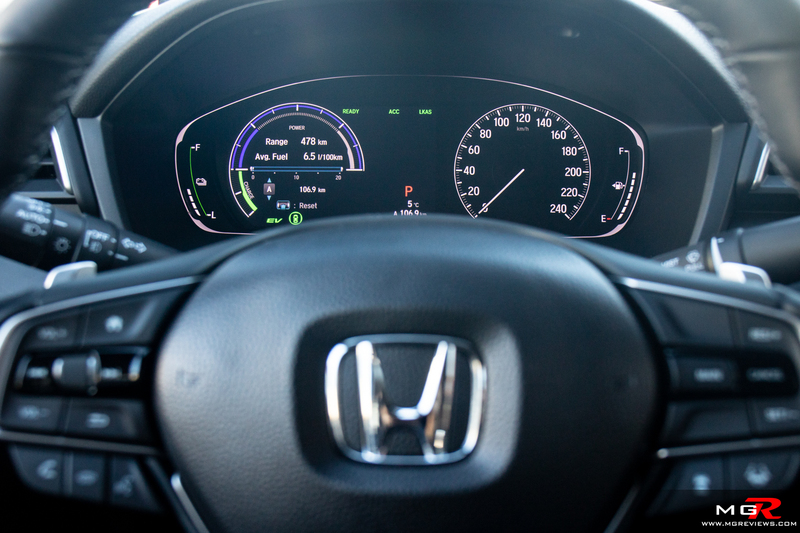 Honda claim a fuel efficiency figure of 4.6 L/100km in a city and 5.3 L/100km on a highway. During my time with the insight, I only managed 6.2 L/100km. Mostly due to the fact that it was winter and cold so the engine required to stay on for much longer than it would normally in order to heat up the cabin. In the hotter summer months, I believe this car can achieve the claimed fuel economy figures. 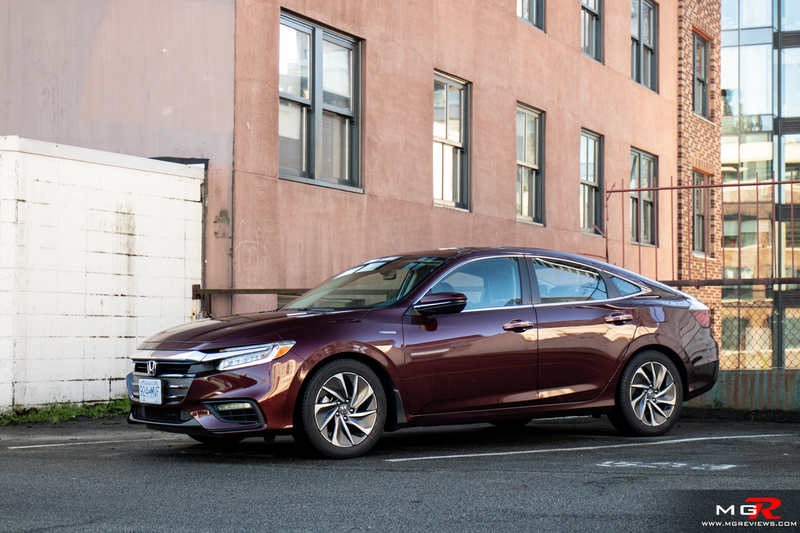 Braking – Like many other hybrids, the Honda Insight has regenerative braking which harnesses some of the momentum back into energy when slowing down. 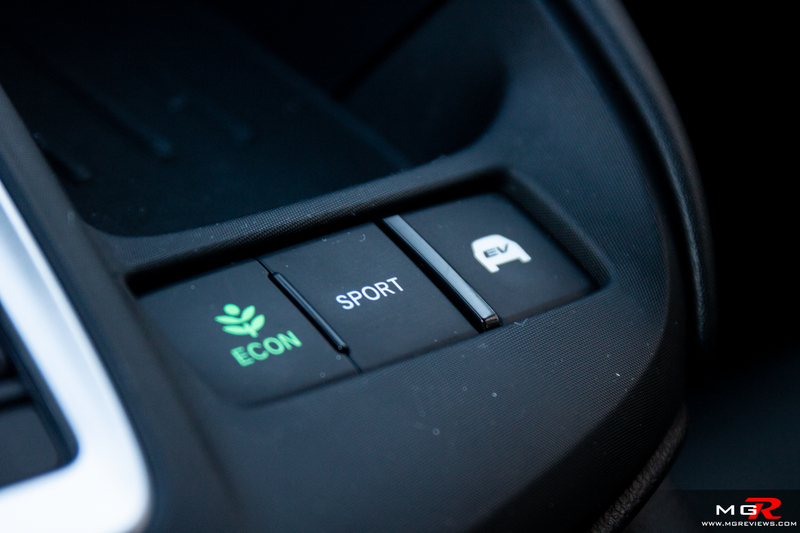 There are also steering wheel paddles that can change the ferocity of the regenerative braking. 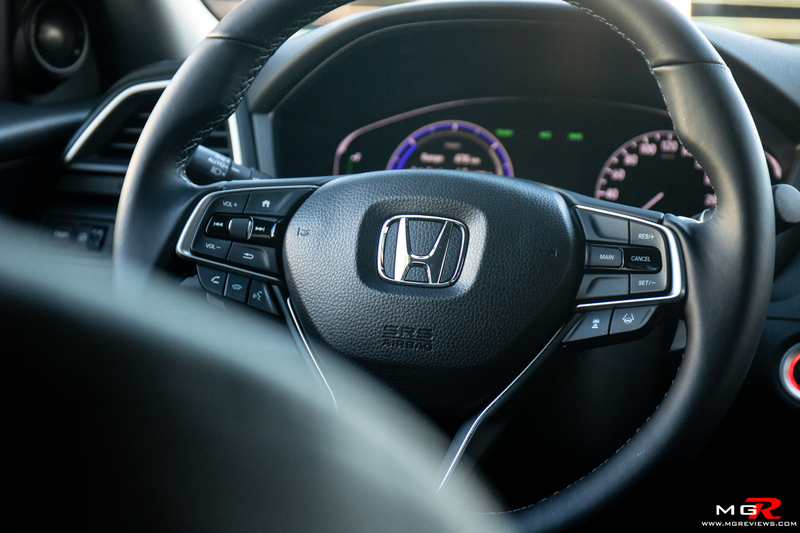 Under normal situations though when using the brake pedal, the 2019 Honda Insight feels like any other car. That’s a compliment, just to be clear. Normally hybrids or electric vehicles of this nature have a vague and disconnected feeling when stepping on the brake pedal. But not in the Insight. 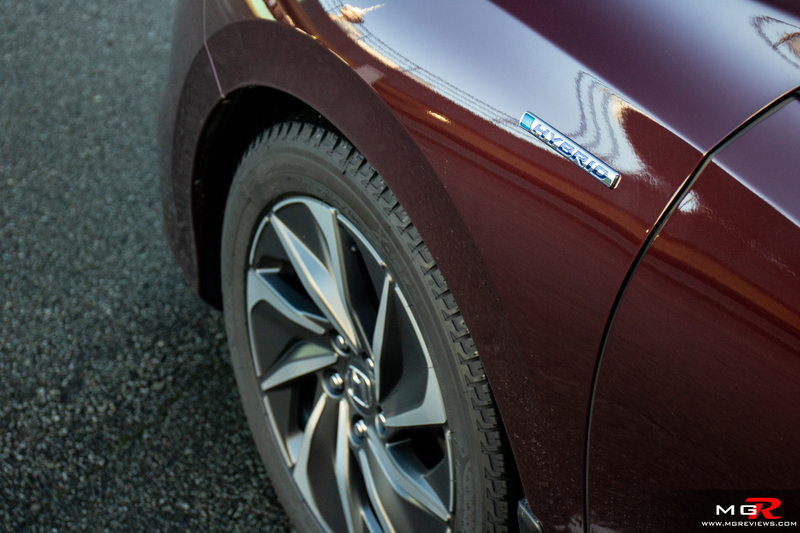 Handling – The Insight feels like any other non-hybrid car of this size. Again, a compliment. Sure steering feel is vague but it’s direct and easy to turn at slow speeds. It may not be as much fun around mountain roads as its Civic brother, but compared to other hybrids in the class, the Insight offers a better overall drive. 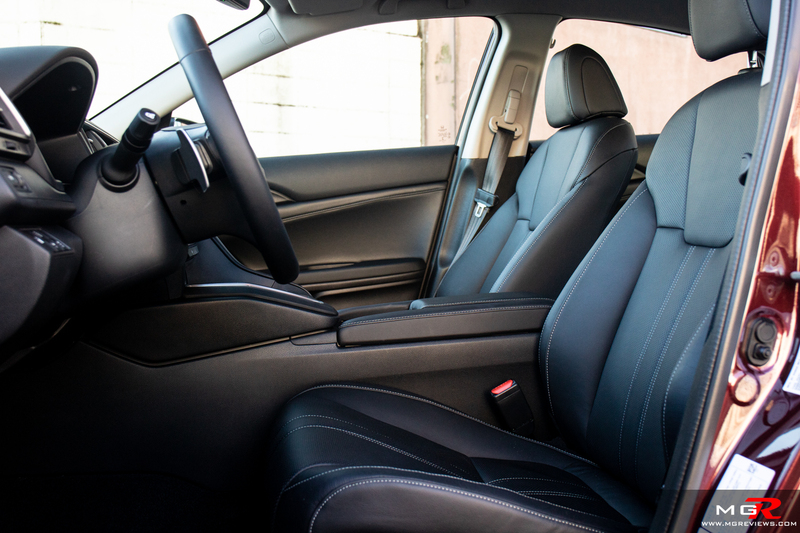 Ride Comfort – The Honda Insight rides a lot like the Honda Clarity. The suspension soaks up bumps well however bigger pot holes or road bumps can feel a bit exaggerated because of the softer suspension. Interior Space – There is quite a lot of space in the cabin of the car. It is easy to find a good and comfortable driving position. 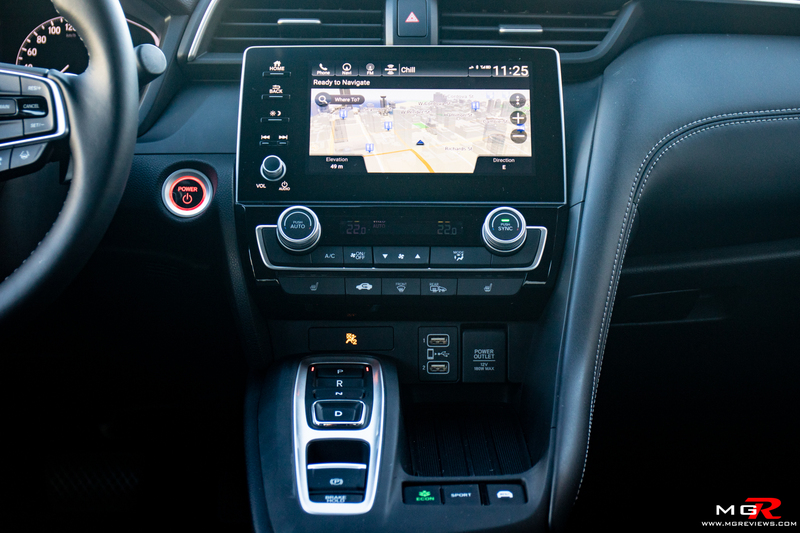 Rear passengers have a generous amount of leg and head room though like many other sedans, adults wouldn’t want to be stuck there for long trips. 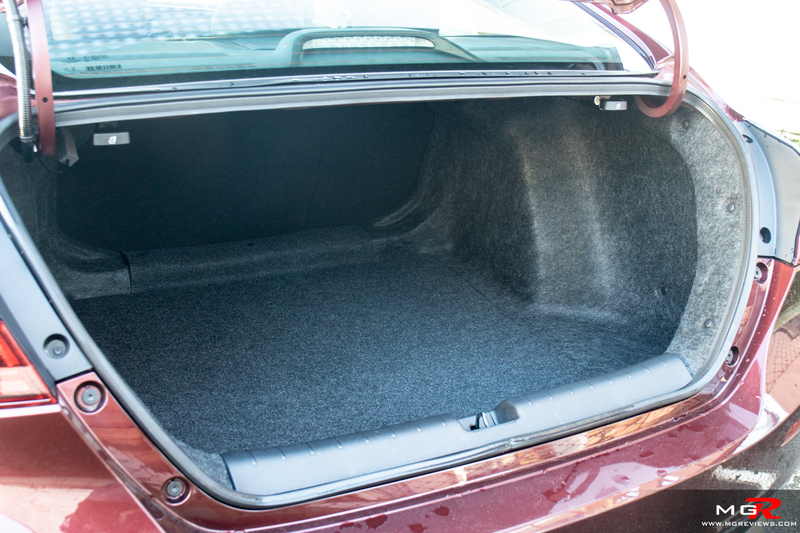 Trunk space is pretty much identical to the Civic sedan which is impressive considering the Insight has to make due with batteries as well. 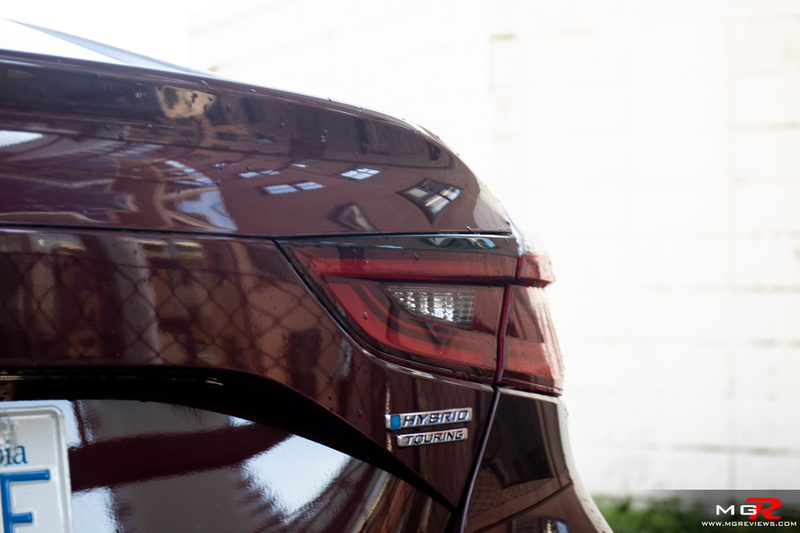 Noise, Vibration, & Harshness – When the Insight is operating in full EV mode, it is as quiet as any other electric vehicle. When the engine kicks in, there is a slight “shunt” that can be felt if you’re stopped but not while moving. Under normal driving conditions the engine is no louder than any other compact car. But under hard accelerating it is a buzzy little engine. 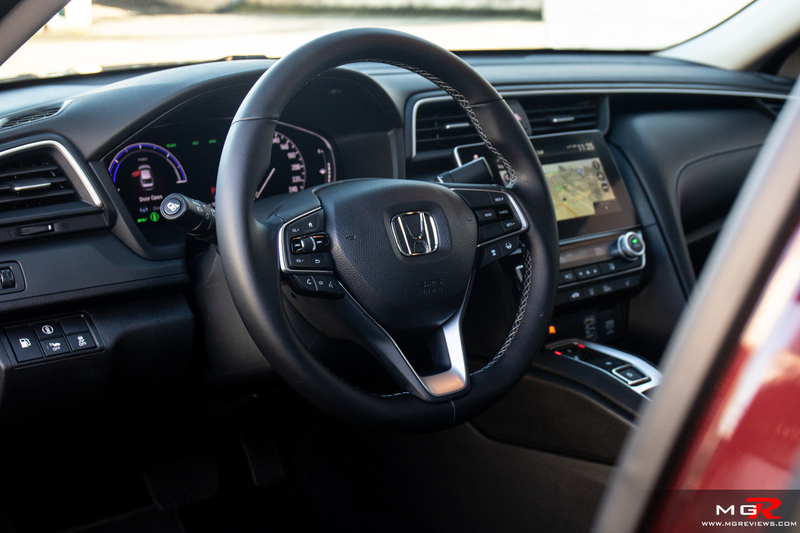 Interior Design – The look of the Honda Insight’s interior feels like it’s a direct copy of the Accord Hybrid. Same steering wheel, same drier instrument cluster, same infotainment, same drive selector. The only difference are the climate controls. Those are more similar to the Civic. Overall, it’s a nice place to be in and all the controls are easy to use. 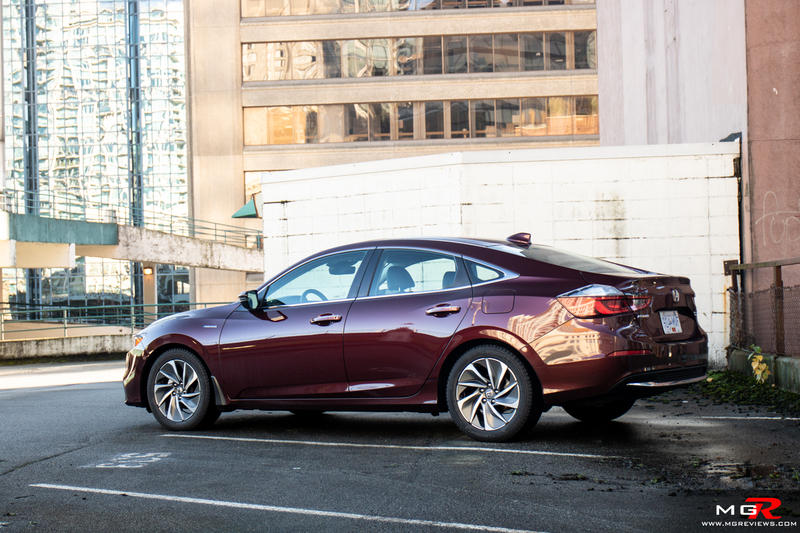 Gadgets – Like many other Honda vehicles, the Insight comes with a slew of standard and optional features. 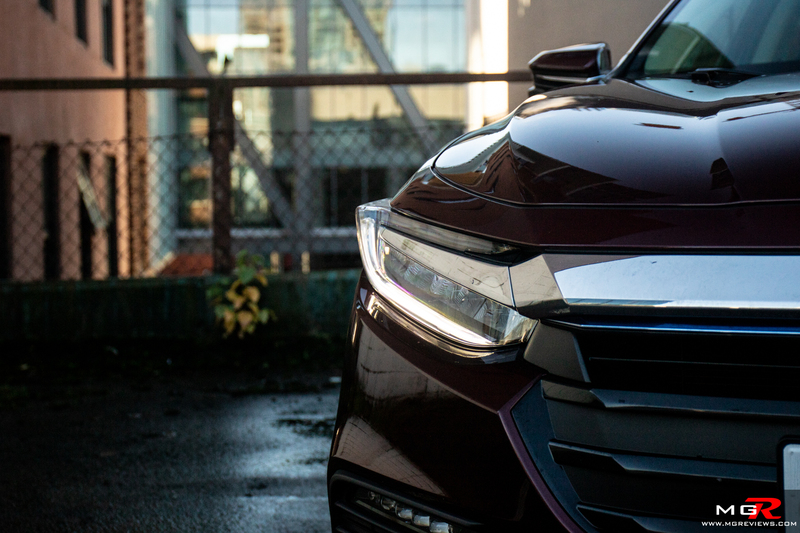 Biggest highlights are the safety features such as lane keep assist, adaptive cruise control, and emergency braking are standard on the Insight. Not bad for a hybrid car that starts at just under $28,000 CAD. 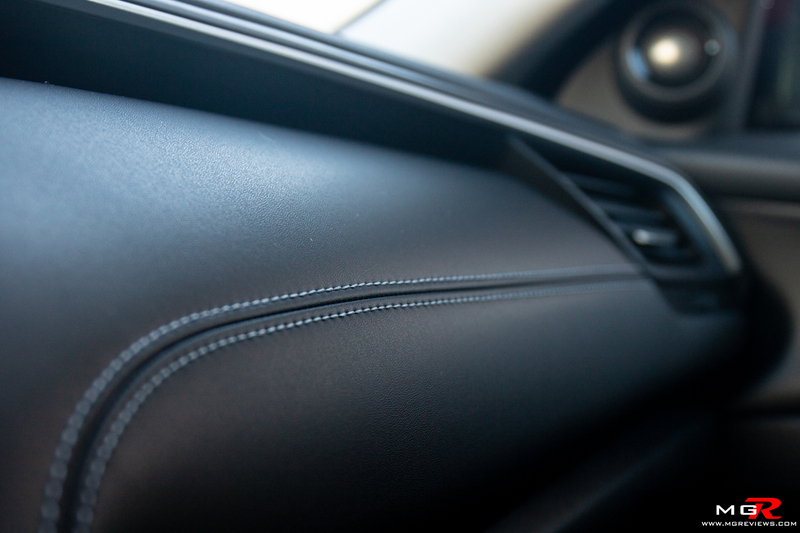 This Touring trim adds features like leather seats and heated rear seats. It will set you back almost $32,000 CAD. Exterior Design – The first two generations of the Insight didn’t win any beauty contests. They stood out from other cars in a bad way. This 2019 Honda Insight however looks… well, normal. It looks like a normal car. Again, that’s a compliment. 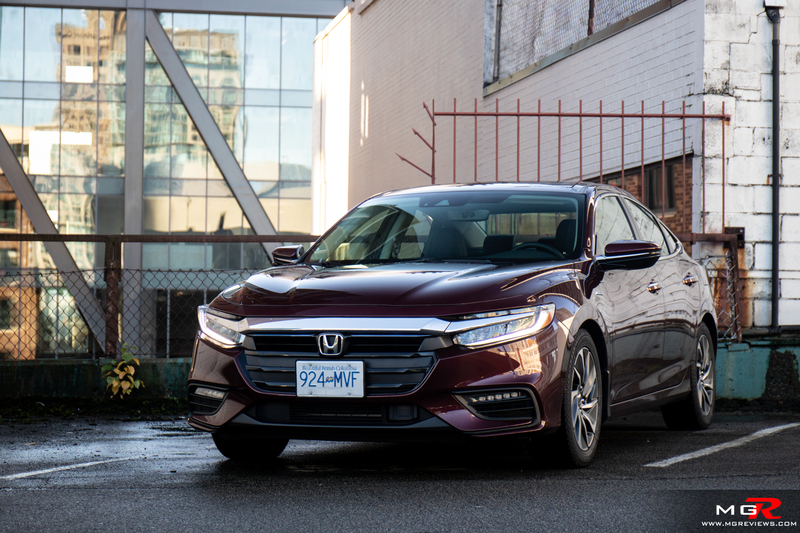 It has a lot of the styling features from the latest Accord and Civic. I think it looks good. 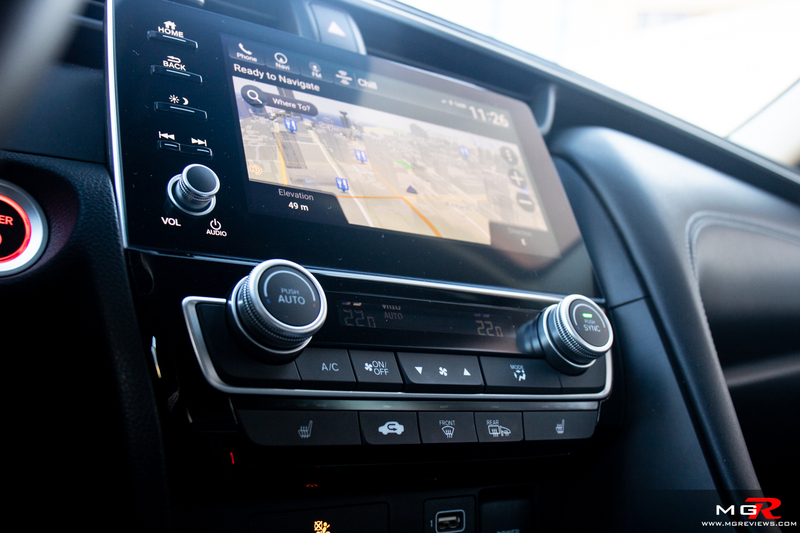 In all, the 2019 Honda Insight is a fabulous hybrid. It’s priced very well, it drives like a normal car, it has a lot of features as standard, it looks good, and it’s fuel efficient. No wonder why it won Green Car of the Year.